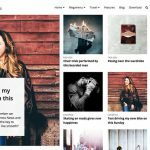 Hello everybody, I am here sharing some most popular free blogger templates that cater needs of almost every blogger who wants to own there space in the internet or want to change their website design. 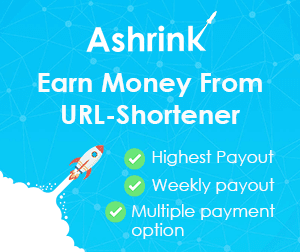 This theme is designed for personal blogging and is a responsive blogger template that comes with rich grid masonry design which is SEO optimized to come up in SERP as fast as possible. 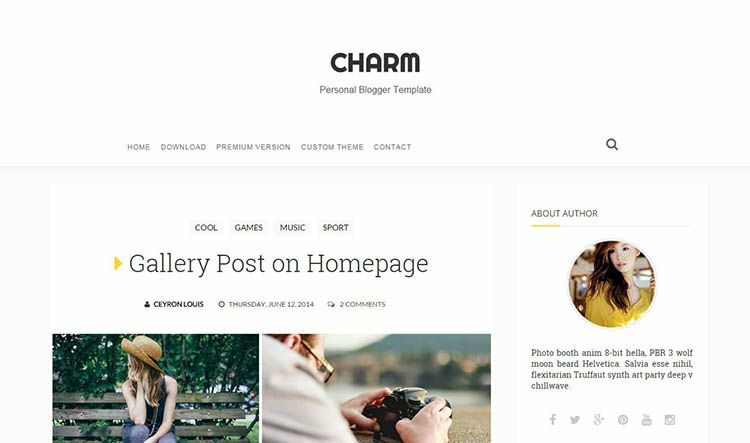 Charm is a clean and responsive blogger template. 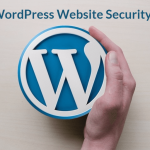 The template design is for personal blogging and is a free blogger templates that comes with 2 column layout given which is SEO optimized to come up in SERP as fast as possible. 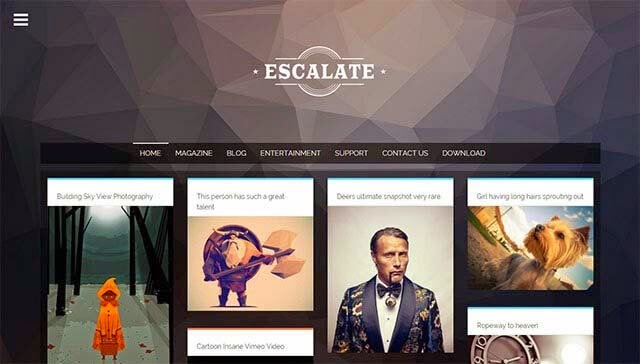 Escalate is a grid based responsive blogger template with changeable background image automatically and flipping over animation to view the summary of the posts. 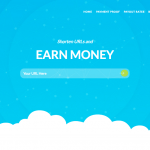 It is enriched with very amazing features that any other free blogger templates doesn’t have. 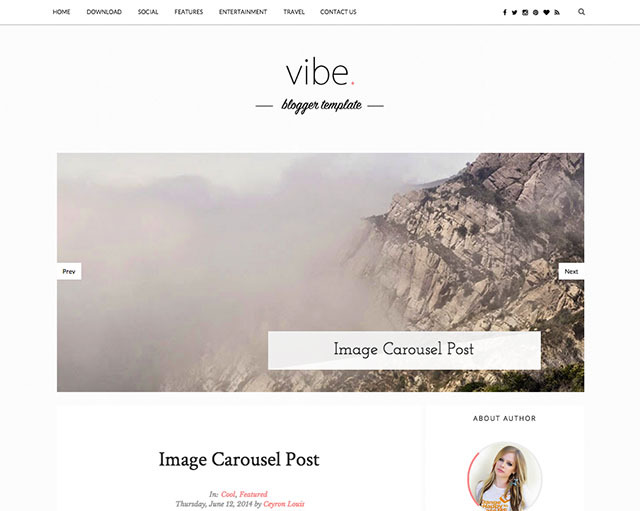 Vibe is a personal template for bloggers which is equipped with new features such as post image carousel which automatically transforms all the posts images in a image carousel which automatically slides and shows all the images in a single post and if there are 4 images or less in a image then it gets transform into a image grid which shows images of posts in a grid. So it is most unique concept and the most latest template by far.